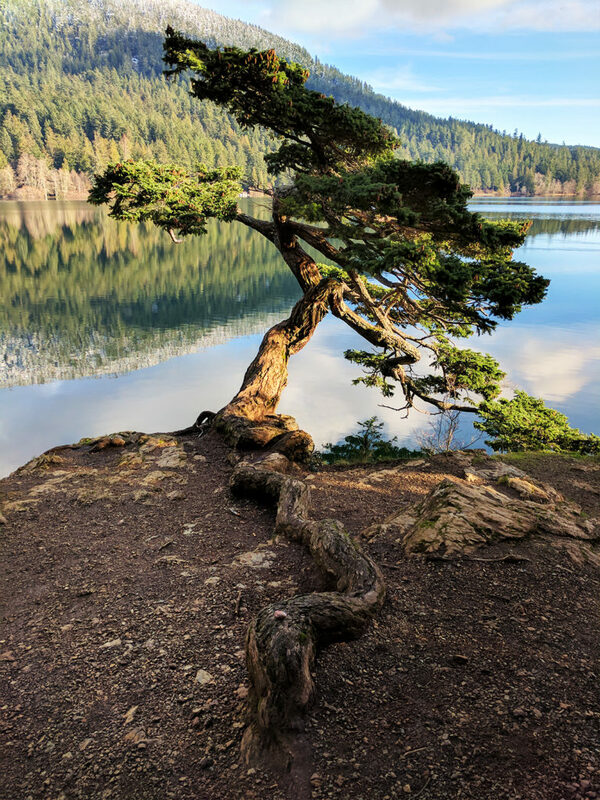 On the north side of Cascade Lake is an iconic tree that anyone who has walked the trail will recognize. Here are some photos of this tree. No doubt, I will take many more photos of it. This particular shot was taken by my wife with her cell phone. No fair that her tiny little phone can compete with my heavy camera. My camera is becoming obsolete, even though I refuse to switch to the cell phone. Click on the image for more. Your camera takes better photos more often and probably will for several more years. Besides, you didn’t mention to them that this wasn’t straight from the phone; it still needed to be processed a little through Photoshop. Thank you for doing that.